VPN dictionary: what do all the terms mean? Entering the world of VPN providers can be a daunting experience for a lot of people. To help you out we compiled a VPN dictionary with the VPN terms most likely to lead to questions. And explain the workings and importance of current encryption protocols in clear (we hope) language. Brief for Advanced Encryption Standard. AES, developed in Belgium, was adopted as worldwide standard in 2001 as the successor to DES (Data Encryption Standard). Widely used by governments to protect their data, notably the US government. A so-called ‘peer-to-peer protocol’ that enables file sharing between a specific set of computers. The protocol cuts large files into smaller parts, distributes them to computers, and re-assembles them there. By sending small files through several connections, instead of one large file, the protocol greatly reduces the network load. Bittorrent is only one of these peer-to-peer systems, often used for sharing illegal, copyrighted files. Be advised copyright holders are keeping tabs on IP addresses associated with Bittorrent downloads. And it is widely expected Bittorrent users may face criminal charges in de near future as the service in itself doesn’t protect IP addresses. Brief for Domain Name Server; the server that logs which IP-address belongs to which domain name, or URL – the name of the website you visit. Computer error that accidentally ‘leaks’ your IP address to third parties. Technically, the error occurs when a VPN provider doesn’t support certain apps, and these apps are active while you set up your VPN to go online. The apps will connect to a web domain in regular fashion despite your VPN setup, exposing your IP address. Another example of DNS leaking is when your VPN connection suddenly drops but the connection to a web domain remains operative. Many VPN-providers offer a ‘killswitch’ functionality to prevent this error. General term for a range of methods for protecting computer data. Coding data with mathematical algorithms will make information intelligible to people who don’t have access to the algorithm. Think about your online bank details: both you and your bank know how to ‘decrypt’ information sent between you (by means of little gizmo’s like bank readers), but others won’t. Form of encryption where only the sending and receiving party have access to the data, excluding even your provider from seeing what exactly makes up the information you sent or received. A geographic blockade or ‘geo block’ ensures specific online content is only available for people in a predetermined territory. Well-known examples include area-specific content on Youtube or Netflix that offers specific content per territory, making US Netflix very different from Australian Netflix or Netflix Germany. Changing your IP address to one that belongs to the specific territory circumvents geoblocks. Most VPN and Proxy servers will do the trick for you. Latest protocol to exchange security keys between computer systems. This ‘Internet Key Exchange version 2’ works in combination with IPsec to secure VPN connections, and makes sure no-one has access to the encryption keys needed to decode data. At the time of writing the combination IPSec and IKEv2 is seen as the most secure method to connect to the internet through VPN. An important plus of IKEv2 is the VPN connection doesn’t drop away when your computer switches from network (say, from your WiFi to a mobile network). Commercial party offering internet services, amongst other things – think about online telephone services, digital television et cetera. Usually, the ISP provides the hardware needed to go online: routers, modems, and TV set top boxes, and sometimes also the cable lines needed to connect a client to the larger internet infrastructure. Short for ‘Internet Protocol Address’. Every device seeking access to the internet is marked with an IP-address by the internet provider. Usually by way of your internet router, which gives the same IP-address to other devices connecting to it, too. IP addresses act like home addresses: they identify the place information needs to go to – be it email, an internet voice chat, or your Netflix movie. Current IP addresses are usually based on an older internet traffic protocol, called IPv4. The composition of the addresses has four series of (max) three numbers. The number of possible IP addresses with this setup is limited, and humanity has all but used every one of them. The new protocol IPv6 counters the problem: it has longer sequences that allow both numbers and letters, greatly expanding the number of possible IP addresses. Automated last-resort security measure. Kills your connection to the internet the moment your VPN fails. Which would leave your computer open to attacks from outside, and exposes your IP address. In use with several VPN providers (but not all!). Brief for Layer 2 Tunneling Protocol. Used to connect devices to a VPN server. Unsafe method on its own; L2TP is simply setting up the VPN connection, not protecting it. The use of encryption protocols is therefore mandatory; IPSec is a common (and fairly safe) option, but users are not limited to it. Encryption method IPSec is in use with most VPN providers. The abbreviation stands for ‘Internet Protocol Security’, and the method takes care of encrypting data, checking on completeness of data transfers, and the transferral of encryption keys between your device and the VPN server. Everyone considers IPSec a very secure option today, but do keep tabs on news surrounding encryption. The Snowden documents clearly show how secret services like the CIA are trying hard to crack the IPSec code. Every computer or server keeps a diary of what happens on the machine. These ‘logs’ keep track of a range of things like the time someone logged in, or the length of an internet session. VPN services usually are different. They often apply a no-log policy to their servers, to keep government officials in the dark about what happened on the servers, in case they would ask. Be advised: not every VPN service has the same log policy, so check their statements on this topic. Device that connects digital equipment (ie. computers) to the internet, usually over analogue data lines (ie. telephone cables). Today, most modems are modem/router combinations. Software to set up VPN connections without using VPN providers’ applications. 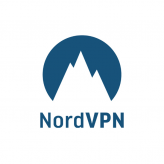 Works with its own encryption protocols (an exchange of TLS encryption keys), and is free and open source, making it an ideal program to set up your own VPN connections. Brief for Point to Point Tunneling Protocol. Connects two computers while theoretically shutting out the rest of the internet. Yet nobody hardly ever uses it anymore due to serious security flaws. Specialized type of server obscuring user location to websites and services you visit online. Think of it as a ‘VPN-light’: your IP address hides from others, but proxy’s don’t offer the type of encryption security VPN services do. A piece of computer hardware that distributes data packs from the internet to the right computer device. It sets up a local network to do this, and boosts the internet signal when needed. A server is a central computer servicing other computers. The kind of service depends on what you use the server for. A VPN server connects computers to VPN networks, while a video game server allows people to play against each other from different computers. Servers hide from public view, in buildings with ideal conditions to house them. Whenever a server breaks down, no-one will be able to access the data stored on it. Smart DNS is a convenient alternative to using a VPN. When you’re using a Smart DNS, the data that you send isn’t protected, but your real location will be concealed by the Smart DNS. So you still connect via your own IP address. For the website your visiting, however, it seems like you’re somewhere else. This makes a Smart DNS seem similar to using a proxy server, apart from the fact that your IP address doesn’t get changed. The smart part of the Smart DNS ensures that you only get another location when you’re visiting websites that require this. Because of this, you won’t be delayed when visiting websites in your own area, or websites that don’t use geo blocking. So it’s convenient for circumventing geo blocking, but it doesn’t offer you any anonymity. The biggest advantage of a Smart DNS, compared to a VPN, is that you won’t suffer from the delays that encryption causes. Because of this it’s an ideal solution for streaming videos. Free VPN server and client. Something for the tinkerers, as the open-source structure allows them to tweak the program to their wishes. Experienced programmers use it to build their own VPN server. Secure Sockets Layer and its successor Transport Security Layer are the most common forms of data protection online. They’re responsible for the green check marks in your browser window when you visit a banking website. Besides that, SSL/TLS is used for protecting anything from browsing to internet calls. While it also checks if no data gets lost during transmissions. Short for The Onion Router, which sort of gives away what this network does. TOR is a decentralised network developed specifically for anonymous and safe internet browsing. It operates through a network of computers (called ‘nodes’) that are reached through a TOR internet browser. The data you send will travel from node to node. This data encrypts again and again, until it reached its end point – and no-one would ever be able to tell where the data originated. TOR is often criticised, for two reasons. The layered encryption makes the service unreasonably slow, but more important. Criminals like TOR a lot, as it allows them to communicate online without having to worry about someone tracking their data. Interestingly enough this is also the thing that really makes TOR shine. Journalists, dissidents, and activists profit from the same anonymity, as it enables them to communicate while dodging government censorship and repression. Short for Virtual Private Network. A network of interlinked computers connected to the (public) internet. VPN servers act as a starting point to go online, replacing the usual internet providers. This move changes your online status: an internet provider sends your IP address along with your data. Thus giving away your location, but a VPN replaces it with a random IP, making yours untraceable. Next to that, encryption usually protect VPN connections well, making it very hard for others (including your internet provider) to look into your data. VPN is not only popular with individuals. Companies use VPN servers to give staff remote access to the company network and the sensitive information stored in it. Another group that relies on VPN are regular internet users who want to access foreign streaming services like Netflix, or iPlayer, or use Bittorrent without worries about their safety. The application (or app) you use to connect to a VPN server. Some clients require manual input to connect, but most offer pre-installed settings to do it for you. The physical computer connecting you to a VPN service. And the server checks your login details and decides if you get access. Next it sends the information you requested (ie. the things you want to stream, download et cetera) to your device, by means of a secure connection. A descriptive term for the type of connection your device has with the VPN server. Data streaming between them is protected against third parties by encryption, effectively making the connection a data tunnel that hides the exact contents.